West Papuans protesting against Indonesian rule. Image: AK Rockefeller. A familiar refrain amongst both the national commentariat and more conservative-minded students is that student politics is a useless echo-chamber, ignored by those in power and largely divorced from those it claims to represent. A serious study of history and the contemporary world paints a rather different picture – a picture that is ever more urgent to recall. Students in West Papua lead the way in asserting their cultural identity, organising independence rallies and building a trans-national solidarity movement. That such activities are having an effect is attested to by the strong reaction of the Indonesian state. Inside West Papua, students are regularly detained, tortured and shot. On March 6 last year, 17-year-old student activist Deni Pahabol was shot by Indonesian police and his body dumped in a river.2 In May this year, over 1,000 Papuans – largely students – were arrested at non-violent rallies in favour of Papuan independence. Documents leaked earlier in the year from the Indonesian army and intelligence services profiled and listed student leaders to be targeted in an attempt to “suppress” and “divide and rule the movement”. 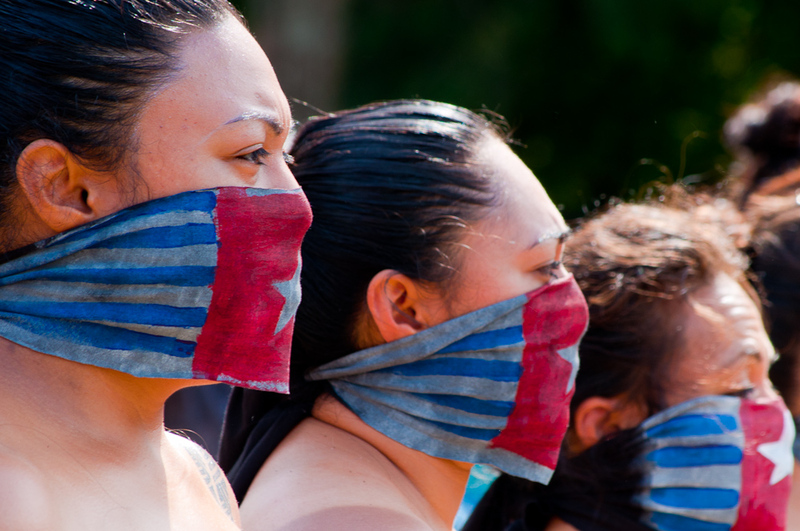 Protesters with Morning Star flag face masks in 2014. Image: Dominic Hartnett. 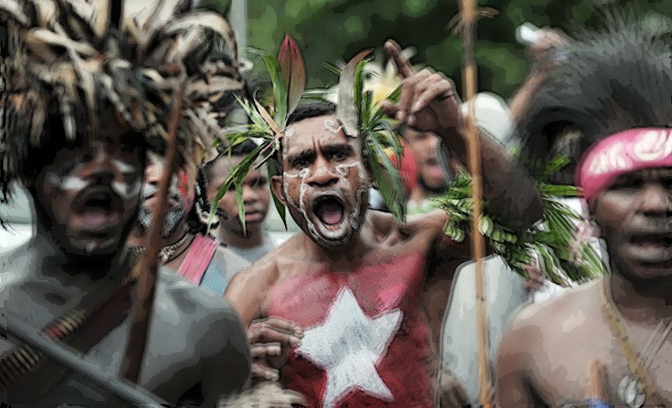 The Indonesian state’s attempts to crush the independence movement stretch far beyond the confines of Papuan territory. As I reported in Lacuna earlier this year, Papuan students studying in Australia on scholarships from the Indonesian government are threatened with scholarship termination if they engage in independence or human rights campaigning. One Papuan student in Melbourne told me that his family back in West Papua had to go into hiding following threats dished out in response to his activism in Australia. I’ve been informed that, in Britain, Papuan students are far too intimidated to openly join the UK-based Free West Papua Campaign. The Indonesian security apparatus is right to take the movement so seriously. In the 1990s, Indonesia’s occupation of another territory, East Timor, was challenged by an international solidarity movement in support of Timorese resistance. As political unrest inside Indonesia skyrocketed in the late 90s, students in Jakarta occupied the legislature in 1998, leading to the downfall of the Indonesian dictator of 30 years, General Suharto. The following year, the Indonesian pro-democracy groups joined forces with the Timorese liberation movement to force through a referendum on East Timorese independence. Today, Timor-Leste is an independent, peaceful and relatively stable country. 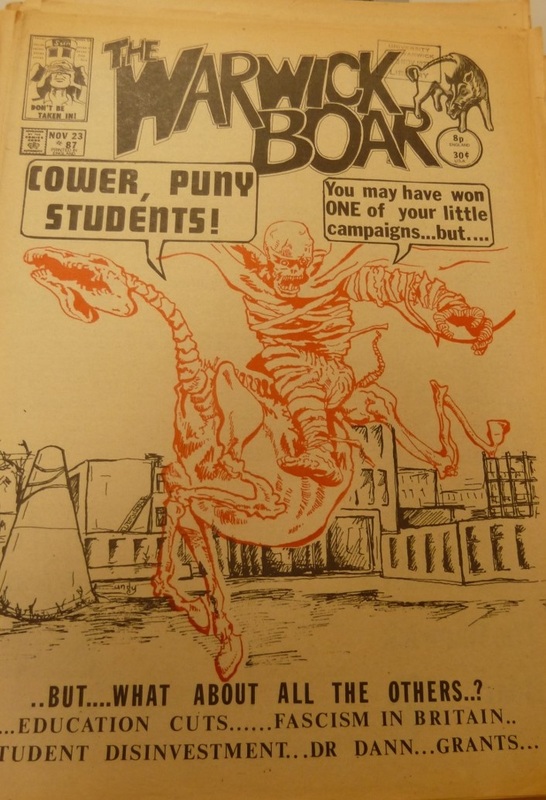 The front cover of the Warwick Boar after student succeeded in getting Warwick to divest from Barclay’s bank during the anti-Apartheid struggle in the late 70s. The international solidarity movement for East Timor was even present on Warwick’s campus. The Students’ Union restaurant, Xananas, is named after the great Timorese guerrilla fighter and first post-independence President, Xanana Gusmão. History like this – as expunged as it is from the University’s official narratives – is of great import. As Indonesian specialist at the University of York, Claire Smith, puts it: Timor’s freedom resulted “partly from international and national civil society pressure”.3 Students and activists in the Global South appreciate this: ask them what you can do to support their struggle, and they will ask you to provide solidarity and funds, and to work to halt your own government’s complicity in their oppression. Such solidarity work has a long history at Warwick: in 1976, students forced Warwick to divest from companies operating in Apartheid South Africa and to stop banking with Barclay’s Bank, then a major supporter of the Apartheid regime. In 2009, hundreds of students occupied S0.21 to protest against Israel’s onslaught on Gaza. That students are a major source of political radicalism and social change should be of no surprise to those who know their history. From Paris in 1968 to Tiananmen, Tehran and Kent State, bloody state reactions have shown how dangerous coalitions of students and workers can be to power. Let us remember these elementary facts when we next hear – as we will – the tired mantra that student politics and activism “changes nothing”.